So at the present moment we are in a very, very deplorable condition, no good government. Simply by changing, by so-called parties, the government cannot improve. Prabhupada: Yes. That was the custom. Not that by removing the king from the throne or killing the king, the brahmanas and the sages would come there to sit down on the throne. No. His son will be given chance to become king. The descendant was picked up, and they would take charge of the minor king, advise him, but they will never touch the throne. There are many instances. Just like Vena Maharaja. He became too much atheistic. He was also killed by the brahmanas and the sages. Then his son Prthu Maharaja became king, and he was a good administration, administrator. So in this way, things were going on. So the aim was how to make people happy by enlightening them in spiritual knowledge. Not that how to make better arrangement for eating, sleeping, mating, and defending. That was also going on. But the main purpose of life was brahminical culture. Brahma-druha. When the kings were neglectful to see that the people are being enlightened about spiritual self-realization, that was good administration. Without that aim, no nation can become happy. No community can become happy. So the responsibility was that time to the administrator. They would see that everyone, every brahmana, is following the rules and regulation of a brahmana; every ksatriya is following the rules and regulation of ksatriya. Vaisya, sudra... And nobody can interfere the other's business. Everyone is employed in his own business. And tax. Tax. The brahmana had to pay no tax. Only ksatriyas, they were tax collector. And sudra also, they had no property; therefore there was no tax. Only the vaisya class, the productive class, they had to pay tax. And that tax also was very simple. There was no encroachment. You simply give one fourth of your profit to the government. That's all. No more tax. Sales tax, this tax, income tax, excise tax, this tax--simply tax, tax, tax. No. Not like that. Whatever he has got profit. "Got" means whatever profit he has made... If he has no profit, there is no tax. That was the government system. So how he will pay if he has not made any profit this year? Just like we are hearing there is no good monsoon in India this year. So there will be no very much good production. But if there is no good production, the government should not levy any tax. But now, at the present moment, "You go to hell, but you must pay the tax. And we divide the tax amongst ourself." That's all. Finished. Or we employ the taxes for fighting, for declaring war. That's all. So at the present moment we are in a very, very deplorable condition, no good government. Simply by changing, by so-called parties, the government cannot improve. The government can improve when there are Krsna conscious person. So if some day you turn all the people Krsna conscious, then you become president. According to the anthropologists, there is nature's law of struggle for existence and survival of the fittest. But they do not know that behind the law of nature, there is the supreme direction of the Supreme Lord Personality of Godhead. 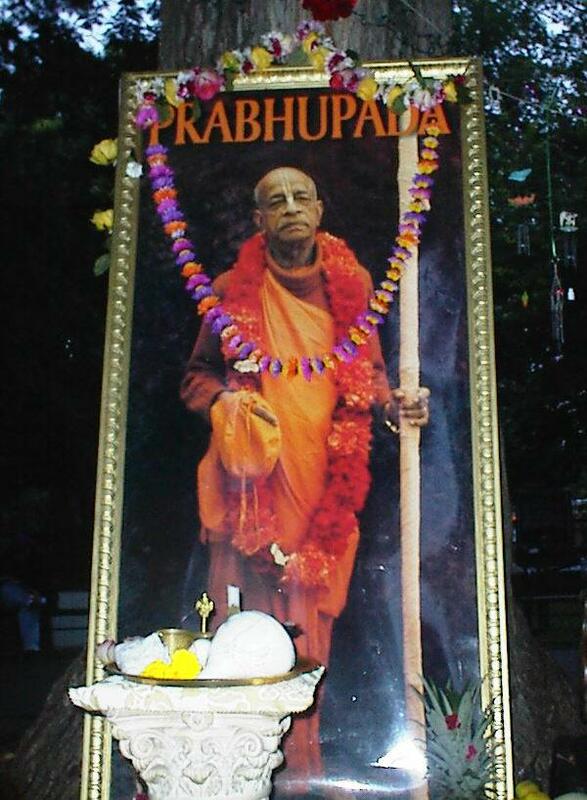 Prabhupada: Now read the purport also. Pradyumna: "According to the anthropologists, there is nature's law of struggle for existence and survival of the fittest. But they do not know that behind the law of nature, there is the supreme direction of the Supreme Lord Personality of Godhead. In the Bhagavad-gita it is confirmed that the law of nature is executed under the direction of the Lord. Whenever therefore there is peace in the world, it must be known that it is due to the good will of the Lord, and whenever there is upheaval in the world, it is also due to the supreme will of the Lord. Not a blade of grass moves without the will of the Lord. Whenever, therefore, there is disobedience of the established rules enacted by the Lord, there is war between men and nations. The surest way to the path of peace is, therefore, dovetailing everything to the established rule of the Lord. The established rule is that whatever we do, whatever we eat, whatever we sacrifice, whatever we give in charity, must be done to the full satisfaction of the Lord. No one should do anything, eat anything, sacrifice anything, or give anything in charity against the will of the Lord. Discretion is the better part of valor, and one must learn how to discriminate between actions which may be pleasing to the Lord and those which may not be pleasing to the Lord. An action is thus judged by the Lord's pleasure or displeasure. There is no room for personal whims. We must always be guided by the pleasure of the Lord. Such action is called yoga-karmasu kausalam, or actions performed which are linked with the Supreme Lord. That is the art of doing a thing perfectly." Therefore our first religion is to produce food grain sufficiently to feed everyone. Krsi-go-raksya-vanijyam vaisya-karma svabhava. Prabhupada: Our first problem is, because we have got this material body, eating. Everyone must eat. So Krsna says in the Bhagavad-gita, annad bhavanti bhutani: "If there is sufficient food grains, then both man and animal, they become happy." Therefore our first religion is to produce food grain sufficiently to feed everyone. Krsi-go-raksya-vanijyam vaisya-karma svabhava. This matter has been entrusted to the vaisyas. They should produce sufficient food and give protection to the cows for sufficient milk. Then the whole human society, animal society, will be happy. But we are disobeying the orders or the rules given by God. Instead of producing food, we are producing motorcars. And motor tires, motor parts. And so many other things. And therefore people are starving. The manual labor is being misused. We are disobeying the orders of God. Therefore we are unhappy. I have seen all over the world. There are enough space for producing food grains. And if we actually produce food grain, we can maintain ten times of the present population of the whole world. There is no question of scarcity because God has created everything complete. Purnam idam purnam adaya purnat purnam udacyate. There cannot be any defect in the creation of God. We have created these defects on account of our disobeying the orders of God. God never said that "motorcar-ad bhavanti bhutani." He never says. But instead of producing food grains, we are producing so many unwanted things. People's energy is engaged for... Just like in America or in every country, so much energy and resources are engaged for preparing war materials. And that means there must be war. And you must be killed; I must be killed. You will kill me; I will kill you. That's all. Therefore God says, catur-varnyam maya srstam guna-karma-vibhagasah. The human society should be divided into four classes of men: the most intelligent class, brahmana; the next intelligent class, ksatriya; then next intelligent class, vaisyas; and the fourth-class men, who cannot become brahmana, neither ksatriya, nor vaisya, they are called sudra. Sudra is meant for giving service to the others. Paricaryatmakam karyam sudra-karma svabhava-jam. So in this age, 99% people are engaged as sudra, working for others. No independence. Otherwise brahmana, ksatriya, vaisya, they are independent. They are nobody's servant. But at the present moment, education means how to become expert servant. That means sudra. So we cannot expect any good things from sudra. That is not possible. Formerly there was monarchy, and the kings were called rajarsis, saintly king. Imam rajarsayo viduh. These instruction are meant for the rajarsis, not for the sudras. So the rajarsis, they would take instruction from superior authority, brahmanas and Vaisnavas, and they will accordingly rule over. And the vaisyas would produce food grains sufficiently and milk sufficiently. People would eat very nicely, and they keep their health fit and save time for understanding his relationship with God. That is perfect civilization.